There are several ways to find information on this site. You can look for information by country category, or you can search for specific artists or topics by name. This will take you to all of the audio and video podcasts on the site. The Hip Hop African Podcast was launched in 2016 and features discussions on hip hop related topics and interviews with hip hop artists. 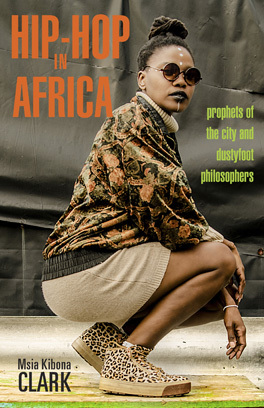 This will take you to the companion site for the book Hip-Hop in Africa: Prophets of the City and Dustyfoot Philosophers (May 2018 | Ohio University Press). This is a link to all articles or article reviews on this site. If you’re looking for scholarly articles or journalistic pieces, they are listed here. Some posts are reviews of articles, some are listings of new publications, and some are original articles. This contains links to over 100 artist profiles on the site. Students in the course regularly upload posts on various African hip hop artists during the semester. This category has the most posts. If you’re looking for a specific artist, it may be best to search for the artist, or look up artists by country. This features posts on female hip hop artists on the site. There are a variety of artists from all over Africa, and the Diaspora featured in this section. This will take you to any reviews or information on films on hip hop in Africa. There are several films on hip hop in Africa that have been released, covering hip hop culture in Ghana, Kenya, Morocco, Senegal, South Africa, Tanzania.